Putting your policies and procedures online helps you keep up with changing compliance. Publishing policies and procedures online and regular education can help minimize compliance risks. Why Should You Provide Employees with Online Policies and Procedures? If you’re using a 20th-century system to handle your policy and procedure documentation, changes will occur much faster than you can process them. Existing processes for publishing policies and procedures, such as storing printed policies and procedures on a server, are inadequate in today’s competitive business environment. If you’re using outdated technologies, you’re lessening your efficiency and productivity, company-wide. Although publishing policies and procedures online is an obvious solution, integrating your policies and procedures into an intranet can be an expensive, labor-intensive, information technology project. In today’s world, your organization needs a way to rapidly update and distribute your policy and procedure information online inexpensively, with an easy to use format and without costly software development expertise or having to maintaining your own dedicated servers. From your company employee handbook to your latest compliance procedure, your policies and procedures are essential to your daily operations. Sadly, typical distribution methods are inadequate, especially if your organization frequently distributes newly updated information to your employees. 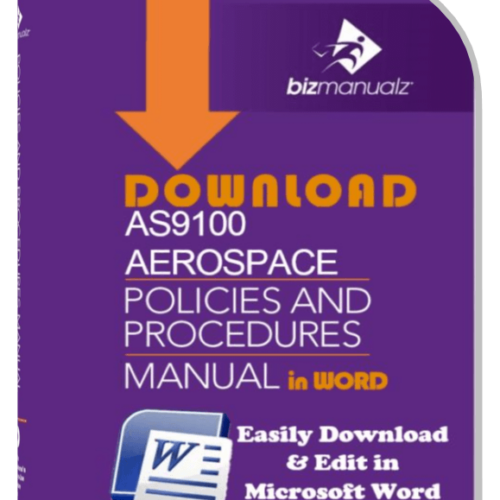 Many businesses have already discarded paper-based policy and procedure manuals because they are too difficult to update and too easily become outdated. The most obvious solution has been to collect policies and procedures in folders on a server or share drive using some form of document management software. 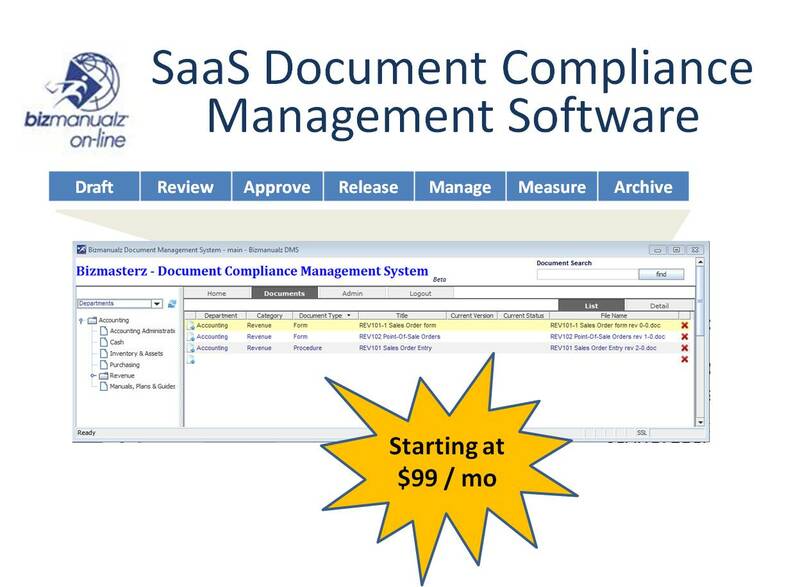 Document management software is for managing paper documents. Find them, retrieve them, and print them out. With policies and procedures management, we are managing electronic documents, which are just files. A procedure does not have to be paper. A procedure could be an audio file, a video file, or a Visio flow chart, process map, or graphical job aid. No standard requires paper based systems. Standards such as FDA, ISO, Sarbanes-Oxley, or Joint Commission require procedures but nothing says a procedure must be written down on paper. They just have to be controlled. Perhaps you’ve experienced the difficulty of searching for a quickly needed policy or procedure on your server. If you’re lucky, you’re not sharing that space with other departments. If you’re like most of us, you’re not that lucky; other groups in your organization share space with yours and your carefully planned standardized navigation system deteriorates. Personal needs and preferences (i.e., a lack of order and discipline) result in a repository that’s difficult-to-impossible to navigate and can result in document compliance audit findings. Most business managers recognize that an online document management solution for their policies and procedures is the next step. Though you may already have intranet policies and procedures development for multiple departments in place, do you have an effective means of controlling your policies and procedures online? Some are using SharePoint but this has not proved to be any more effective than the outdated hierarchical folder system on your shared drive. Few organizations have the technical expertise or IT department budget to develop a custom policy and procedure solution from scratch. Allow you to pay for only what you use. Your existing MS-Word files can be easily imported and maintained, maximizing your investment in your existing policies and procedures. Publishing policies and procedures online can be accomplished at the touch of a button. 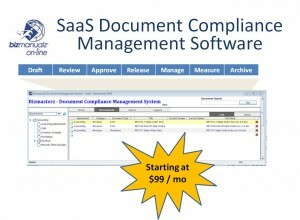 You can bulk import hundreds of your documents and publish them to your employees quickly. In the past, your IT department was essential to publish policies and procedures online but, not any more. Using Software-as-a-Service (SaaS) policies and procedures software reduces your dependence on your IT department for publishing your policy and procedure information. Now little support is required from your IT during deployment and maintenance. It’s simple to publish policies and procedures online — no special training is required. Using common, familiar document editing tools (like Word) allow your managers to easily edit documents without the additional time and expense of specialized training. Employee contributions to your policy and procedure projects are necessary and critical but if everyone were to write their own policy and procedure documents from scratch without guidance (e.g., a company standard), you’d be guaranteed a mass of confusion. 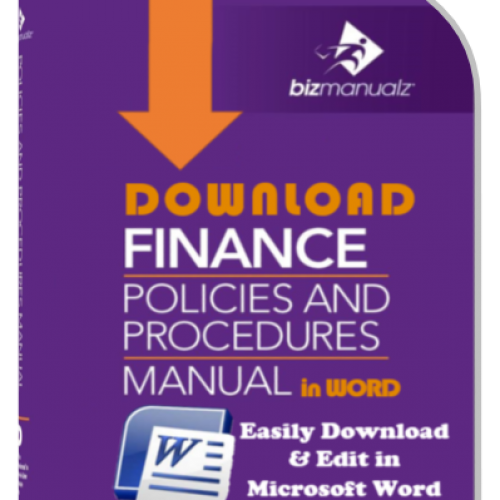 Using policy and procedure templates from the Bizmanualz library (where there are thousands of examples) helps overcome writers block and provides a common structure and design for all of your policy and procedure information. 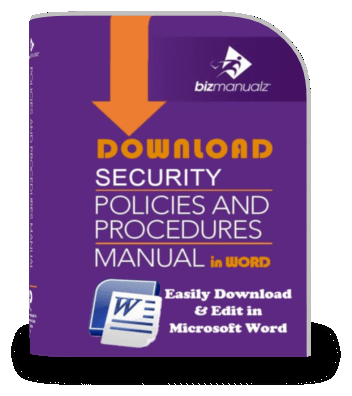 Bizmanualz policy and procedure templates are easily customizable to meet your online policy and procedure requirements. With well-designed policy and procedure templates, employees can add their information without disrupting the look and feel of your entire policy procedure system. Software for publishing policies and procedures online provides a simple method for standardizing all of your policies and procedures, even from multiple authors. The value of publishing policies and procedures online is a function of your employee’s ability to find what they need when they need it. Reducing the time required to locate and access your policies and procedures is critical to your productivity and customer satisfaction. The most effective information systems include natural-language searches, hierarchical navigation folder trees, and a common file organization using categories or groups. Multiple data views in the software provide different methods for finding what you need, fast. Your investment in online policy and procedure software may require a cost analysis or, at the very least, solid benchmarks for evaluating products for publishing policies and procedures online. Analytical data on how your policies and procedures are used, read and support employees is important to understanding your return on investment. The numbers provide support at audit time, budget time, or your managers meeting to the real benefits of having online policies and procedures software. Software-as-a-Service usage is purely demand-based; pricing is based on the total number of users. You can start out using the free version for you and another editor. Edit and prepare your Bizmanualz content (or your own content). Once you are ready for distribution you can add more users, groups, or locations and only pay for that number of users. 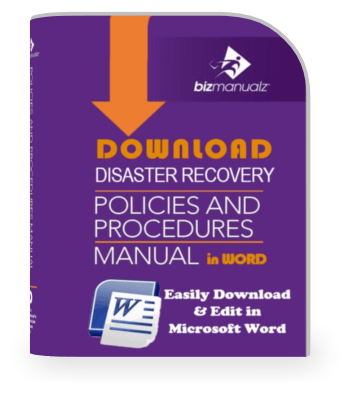 OnPolicy, developed by Bizmanualz, Inc., offers you a simple way to publish and rapidly update your policies and procedures, training aids, process maps, business manuals, employee handbooks, and more — easily — over the Internet while providing your employees with powerful tools for quickly finding the information they need to do their jobs. The software automatically tracks use of online information and provides feedback so you can evaluate the effectiveness of your policies and procedures management system. From first-use through policy and procedure publication and management, OnPolicy empowers non-technical people to publish and update policies and procedures online. OnPolicy.com can be deployed and managed from any PC connected to the internet without requiring any ongoing support from your IT professionals. OnPolicy can easily import existing Microsoft Word, PowerPoint, Excel, and Adobe PDF documents for publication online. All metadata information will be included in all natural language searches. OnPolicy editing environment allows authors and managers to create and edit online policy and procedure documents using Microsoft Word. Thousands of pre-written policy and procedure document templates are available to standardize your information. Policy and procedure templates may be customized to contain new information formats, headers and footers, or other specific design standards. 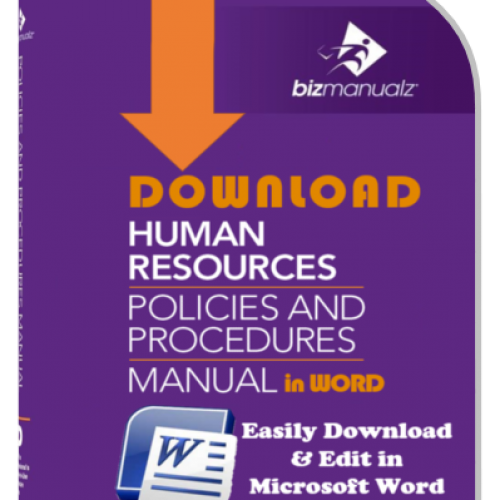 Convert Thousands of MS-Word Policies and Procedures into an Online Format for Rapid Navigation and Easy Access by Employees. Publishing policies and procedures online with OnPolicy will reduce production and maintenance costs, while allowing faster updates, faster access to a larger audience, and increased navigation for all of your users. 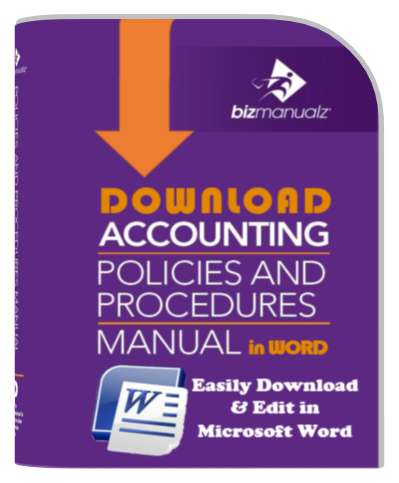 Any quantity of information stored in Microsoft Word documents can be imported into a simple system for your employees to quickly reference that policy and procedure information online. The software facilitates the rapid publication of your policies and procedures documents, while minimizing the time required by your IT department to support the project. 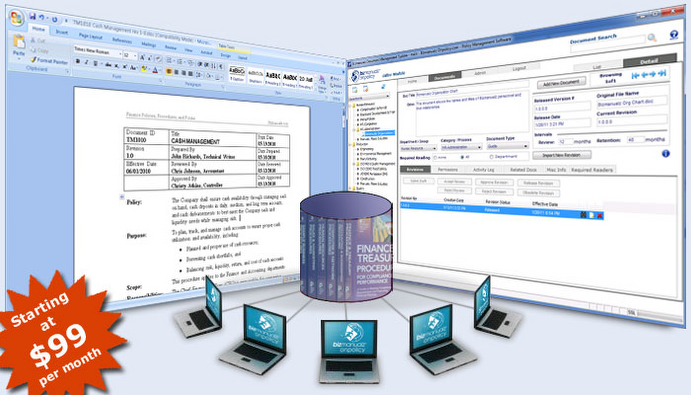 OnPolicy allows multiple authors to collaborate and manage documents remotely. Overall, OnPolicy superior SaaS technology and policies and procedures library cuts your project timelines by 90%, while offering powerful features for the efficient management of policy and procedures over time. If you want the most ideal solution to publishing policies and procedures online, sign up for a free trial and let us know what you think.